From then on go to the website of ThreeNow or use their app if supported. Please see supported devices between ThreeNow and Unlocator at the bottom of this page. ThreeNow is one of the top live and on-demand streaming platforms in New Zealand. 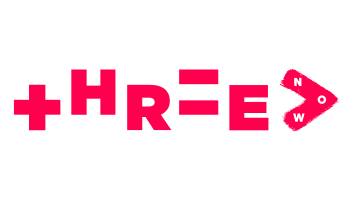 This catch-up service lets you watch your content from Three, ThreeLife, as well as sister channel Bravo. Although the channel is designed for Kiwis, there is plenty of Australian, British, American and other international TV content within its catalog. You can find the likes of Law and Order: SVU, Blue Bloods, Chicago Med, and Hawaii Five-O in its huge library. However, access to the channel outside New Zealand is strictly restricted. Therefore, in order to watch the channel abroad, you must make use of Unlocator’s Smart DNS service. To circumvent the geo-restrictions imposed on the channel, you need to fake your online location. Unlocator lets you do exactly that by altering the URLs responsible for identifying your current whereabouts. This, of course, leads you to appear as if you’re browsing from New Zealand. As a result, ThreeNow will qualify you as a Kiwi resident and grant you full access to its streaming library. Unlocator only tampers with URLs, which means that your IP address remains the same. So, you while streaming ThreeNow, you’ll still have access to your local channels. Furthermore, Smart DNS doesn’t encrypt your online traffic, which means that your connection speed doesn’t drop one bit. All you have to do is sign up for a free Unlocator trial and follow the setup guides provided below based on the platform your streaming on. After setting up Unlocator DNS on your device, head over to your Unlocator account and click on ‘Region Settings’. Under ‘Region Packages’, select the NZ Package. Once you’re done, you’ll be able to watch ThreeNow regardless of where you may be around the world.